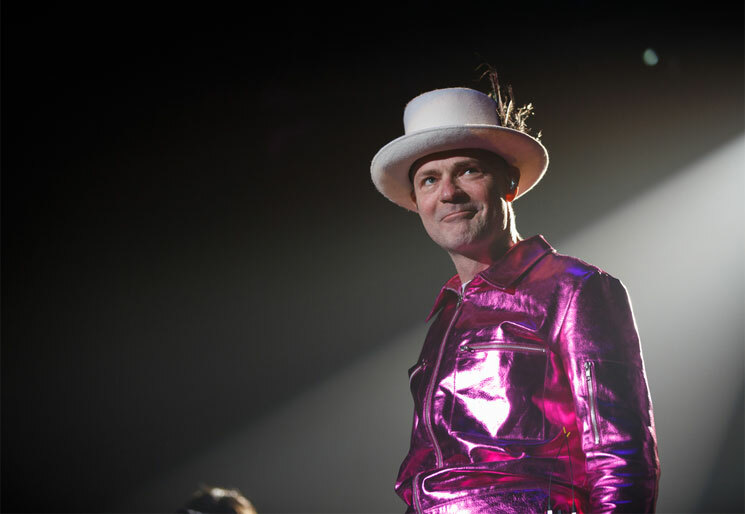 "It's fitting that we remember him by creating the position of Ontario's poet laureate in his name"
A member of the Ontario legislature is looking to honour late Tragically Hip frontman and Canadian musical icon Gord Downie through the creation of a poet laureate position for the province in Downie's name. NDP member Percy Hatfield introduced the Poet Laureate of Ontario Act (In Memory of Gord Downie) in the legislature Tuesday (December 5), noting the entirety of Canada and numerous cities within the province have the position. Duties of the poet laureate would include writing poetry, advising the legislative library on acquisitions and its current collection of works, visiting schools, assisiting with writing workshops, presenting or arranging poetry readings and more. "It's fitting that we remember [Downie] by creating the position of Ontario's poet laureate in his name," Hatfield said. "Downie viewed Canada through a distinctly poetic lens, and I believe this is a beautiful way to honour him, and to continue his legacy."